From the early ’90s when the WWW came into existence and to the present day, people are concerned about their information security on the Internet. At the beginnings, it was crazy to think that people will give their credit card information to strangers, especially on random websites where they make purchases. However, this became possible thanks to the SSL Certificate. People started to trust this security solution and started to make online purchases. Since then the commerce changed forever. An SSL Certificate is a software tool that does two important things. First of all, it confirms that a website is trustworthy and it belongs to a real business. Secondly, it protects important information such as usernames, passwords and credit card details from being stolen by attackers. An SSL Certificate takes the information that your users provide and encrypts it so that only a web server can decrypt it and understand it. So as the information on the web is transmitted via HTTP language, your data is not protected, as HTTP itself is not secure. The SSL Certificate takes your information, encrypts it, and passes it securely to the server where the website is hosted, or directly to the payment processor. On the merchant’s server, or on the payment processor’s side, the SSL certificate receives the encrypted HTTP information, decodes it, and safely performs the action you requested (logging you in, processing a payment, etc). 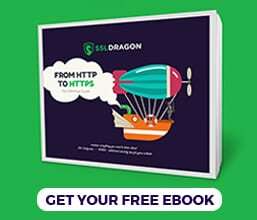 In this way, the SSL Certificate turns your “HTTP” connection into an “HTTPS” (secured HTTP) connection and protects your data. In a nutshell, An SSL Certificate protects your sensitive information. Online surveys show us that online fraud motivates users to be more cautious where they shop online. Surveys also show us that users care about the security of their shopping platforms. Odds are most of the users are smart and make wise choices when it comes to online safety. Step by step, online shoppers become more sophisticated and understand what makes a website safe. There are three mandatory signs of a trustworthy e-commerce website: the green padlock, the “HTTPS” sig, the green bar and the SSL Certificate Seal. If you are a website owner or an online merchant and you get an SSL Certificate for your website, then you will also get the permission to put a static seal or a dynamic seal on your website. 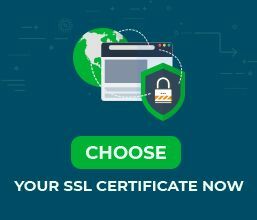 The SSL Certificate seal has the form of a graphic, and you can put it anywhere on your website. The most common place for the SSL Certificate seals is the footer of the website. Users can click on the seal and a pop-up will open, or it will redirect the users to the certificate authority website where users can see the certificate authority confirming that your website belongs to your company and that your website is safe to use. A certificate authority will never issue an SSL Certificate to a fake website which tries to clone your activity and steal your users personal and credit card information. The most popular payment platforms have their own SSL certificates. If you use Amazon Payments, Apple Pay, Google Wallet, PayPal, Stripe, Authorize.net, 2Checkout, or other similar systems, you and your users are safe when making payments. However, when users register, log into your website or enter their credit card information, their information is not protected unless you install an SSL Certificate on your server and website. The login and registration forms on an unprotected website put you and your customers at risk because attackers can easily steal the information about your users. Attackers can read the usernames and passwords as plain text. Your users risk their personal information to be stolen and misused. So, our recommendation is to create login and registration HTTPS pages. I am a website or online store owner. What to do next? Our company offers SSL Certificates for different purposes. We give you the opportunity to choose the SSL Certificate that suits your online store best. You can find the list with all our SSL Certificates here.